Send all the best wishes with dozens of roses in shades of pink and lavender, beautifully arranged in a cylindrical clear glass vase lined with leaves. It's the perfect gift bouquet, when only the best will do! 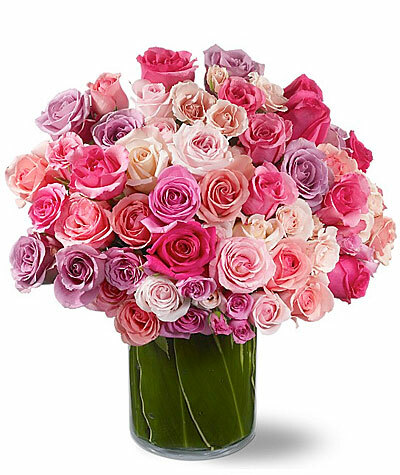 More than 40 hot pink, lavender, light pink and medium pink roses - plus light pink and lavender spray roses - are delivered in a cylindrical clear glass vase lined with leaves. Vase substitution may be necessary while supplies last.